ON1 Photo RAW 2019 features a new powerful and modern raw processing engine, supports for newer sensors and graphics chips, and so much more. It supports most raw image formats, have plug-in for Lightroom and Photoshop, and features hundreds of filters and presets, etc. will this version still be able to sync with the mobile app? or will it mess up the license to syn with an on1 account so I can use the mobile app with it? buy, and get all its features, that’s it! I went ahead and tried it. syncing with the mobile app does work on this so far. it uses google cloud storage with a google account so it is not managed through the license file from what i can tell. it has not asked me to activate on1 since i started syncing with google drive. so far i am able to use the ipad on1 app without loosing the license on the desktop app. nice job on this! masterkreatif is my favorite :) I also read in a few places that turning the license file in most apps to a read only file helps prevent loosing the license. i also did this on the ONToolbox.dll file to be safe and blocked incoming for on1_Photo_RAW_2018.exe in the firewall just to prevent any updates and I can still sync to the mobile app. 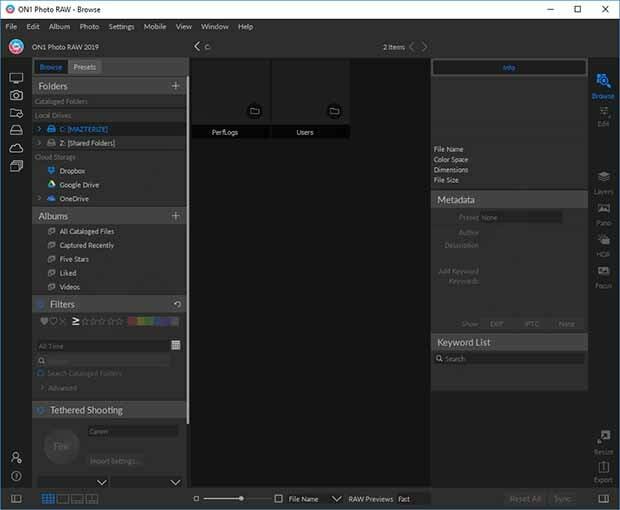 Just figured this might help someone else :) Are there any uploads for the new on1 Photo RAW 2018 Presets and Effects? Thanks again and great work!! !